Each year the Urban Land Institute and PwC present the Emerging Trends in Real Estate report, providing our industry with insight into emerging themes and forces that will shape the next 12 months. These are big topics that stood out to us at this year’s presentation. In markets such as Toronto and Vancouver, there is a consensus that it’s time to acknowledge that demand can only be limited to a certain extent. Amenities, community vibrancy and job opportunity will continue to drive the desire to live in urban markets. Rather than focusing on making it harder to own in the hopes of limiting demand, there’s a need to shift our thinking to increasing low and high-rise home supply, through efficient policies and approval processes. This will ensure that more housing can be brought to the market without significant delays that are often translated to the homebuyer. Until this occurs, we can also expect to see changes in behaviour as affordability and supply remains an issue. This could mean more multi-generational households or increased long-term rentals for young people and families. A prominent theme last year as well, the rise in placemaking when talking about real estate development is still ripe in people’s minds. 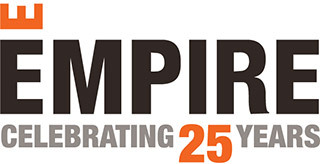 Empire is particularly on board as our philosophy has always centered around creating master-planned communities that fulfill both the housing needs as well as the lifestyle needs of our homeowners. The trend for 2018 is an increase in mixed-use developments with office, retail and transit all in one. There was also a lot of talk about the ’18-hour city’, characterized as a major center with a vibrant urban core. Rather than the 24-hour cities of Toronto or New York, these areas are akin to Montreal or the quickly emerging Calgary. A big one on the radar? Kitchener-Waterloo, home to our Riverland community, where a growing downtown, excellent schools and plenty of job and amenity options has families considering the move. With homes being one of the few things you still cannot buy online, the real estate industry has yet to fully embrace technological innovation. The consensus this year is that those days are over. Disruptive technologies are here to stay, and the real estate industry will have to embrace them to keep up. From 2-hour grocery deliveries, to autonomous vehicles, smart homes and smart data collection and management tools, the time is now to embrace new technologies that can make the lives of homeowners better and more efficient, both in the high and low-rise markets. As the Province of Ontario’s focus remains on density, vertical variety will be key to ensuring families can live and grow in the city for the future. After years of condos becoming smaller and smaller, condo square footage is increasing, and larger, family-friendly designs are now becoming a trend. With billions being put into transit infrastructure from all sectors of the Canadian government, we will see an even bigger impact on housing via transit. Already we see higher density developments emerging around transit nodes, and policy changes around transit will transform the way people live, move, work and play. A great example of this is the King Street pilot project in Toronto. The new policy will limit car-access on King in favour of efficient streetcar movement. As one of the most high traffic streetcar routes in Toronto, the project represents a shift toward transit oriented thinking and planning that we can expect to see more of in 2018 and beyond.